Next: Book Offer/Membership Appeal: "Marijuana is Safer -- So Why Are We Driving People to Drink?" Thanks for providing more details on why Souder withdrew the amendment. We'll see what happens as SAFRA advances. 1. Loss of student aid limits a young person's chances of attending an expensive, high-rated college and getting a degree which guarantees a high first job salary and promotion prospects. The resulting impoverishment targets those who, if they had acquired the money, might later contribute to pro-cannabis (anti-tobackgo) causes, campaigns, candidates etc. 2. Some parents are likely to react thus: "We slaved replique montres for you and now you go and blow it!" (After all, they were counting on their investment in that child to yield good job earnings up to age 40 and beyond, and a soft secure old age for said parents, nature's Social Security program.) Disowning, eviction from the house and other kinds of revenge may occur. Then the publicity or scuttlebutt goes: "Look what marijuana did to that family!" 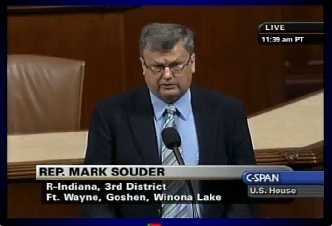 I live in the 8th district and it is time to let Mark Souder of the in the 3rd district congressman to put away his Hatred of marijuana users and medical marijuana patients. IT's time for compassion for ALL people and let's get back to the constitution. Also Let's talk about how the first two drafts of the Constitution Of The UNITED STATES Of AMERICA was drafted on Hemp Paper. sounder defeat is the best. Please write from your heart, about something that you know or you have created. thesis on time Do not write something that is not what you want, but something you know that will make money. The newest change inside education loan bill is a massive reduction for those learners who have been waived usage of the particular figuratively speaking because of Pass bee Media medicine charges. Government entities have relocated within this bill in the suitable time period along with When i value all who definitely are driving this specific. Great article full of beneficial suggestions! My own Quality Ibeacon website is fairly new as well as We are furthermore getting difficulty receiving the visitors to get away from comments. Analytics shows they are coming to the website but I've got thoughts “nobody desires to end up being first”.